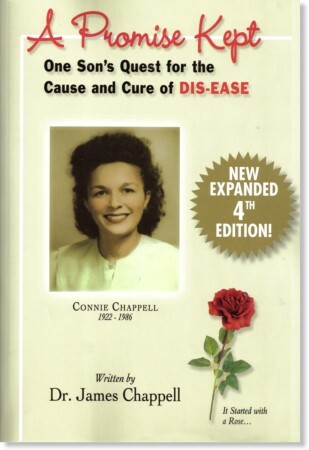 "One Son's Quest for the Cause and Cure of DIS-EASE"
You can live a life free of sickness and dis-ease. But if you are one of the millions of people who simply do whatever anyone in perceived authority tells them, this book is NOT for you. Just keep trusting your doctors and take your drugs as needed - and needed they will be, for one drug will always lead to another. After all, that's the nature of drug therapy, and no drug has ever cured anything. Let me repeat: NO DRUG HAS EVER CURED ANYTHING! It may have postponed the inevitable, but only God or nature heals. We simply must go back to trusting God and nature for there isn't anything mankind can offer that God or nature hasn't already provided. If you step outside of your preconceived ideas of what you have been told about health, sickness and dis-ease, I promise you, you will learn how to cure yourself from almost every acquired illness. It won't be easy, but you can do it. There are exceptions like congenital deformities and post-traumatic physical damage, but barring those exclusions, I know all other so-called "diseases" can be eradicated. Notice, I did not say, I believe. I said I know. There is a difference. Belief connotes faith with the possibility of doubt or uncertainty. Knowing comes from knowledge, which we acquire from learning or experience. After years of helping those with almost every imaginable human ailment and observing thousands of people recover from their health challenges naturally, I know there are no incurable conditions. My name is Dr. James Chappell, and like many of you, I have personally been affected first-hand by the loss of a loved one due to a life-threatening illness. It is both an emotional and a physical pain that no one should ever have to experience. In 1986, after suffering from obesity, diabetes, and finally cancer, I watched helplessly as my beloved mother quietly withered away and died. She was only 64 years old. As sick as my mother was, she never lost hope...and neither did I. On her death bed, I vowed I would find the cause and cure for her lingering illness. Now, after 36 years of intense research and experimentation, I am very proud to announce that promise has been kept. I have in fact found the answer to her core dilemma mistakenly called Diabetes. "A Promise Kept: One Son's Quest for the Cause and Cure of DIS-EASE," is the culmination of that research. In this easy-to-understand book, I explain in over 600 pages of detail EXACTLY what causes dis-ease, and EXACTLY what will CURE it. And the answers will shock you! I will show you step-by-step how to identify the early warning signs of, as well as how to prevent and/or cure, a whole range of the most common life-threatening illnesses currently plaguing our society, including Cancer, Strokes, Heart Dis-ease, Parkinson's, Alzheimer's, Obesity, and many, many others. Lastly, I hope to open your eyes to the current state of our "healthcare" system. From the Pharmaceutical industry to the orthodox Medical community, from the FDA to the FTC, I discuss in detail their primary motivations, and why it is in their best interest to suppress the very information I am trying to put in your hands. Once you read this section of the book, you will clearly understand why all the obvious benefits of natural healing are being ridiculed, degraded, and condemned by the "mainstream," as well as by your very own Government. I dedicate this book not only to my beloved mother, but also to all those who seek optimum health. Although it is too late for her, it may not be too late for you. If you or anyone you know suffers from any dis-ease, you owe it to yourself and your family to learn what you can do to overcome it...and you absolutely CAN overcome it! And I am excited and honored to be able to teach you exactly how. May this book have a profound life-changing effect on you, as it has on so many others. The New American death ceremony began as a crude ritual, back in the days when experimental orthodox medicine first started. Death came quickly as drug physicians gave out their toxic elixirs. In recent years, it has been developed into a deceitful, so-called "science." It now usually takes from ten to fifteen years to slowly poison and kill, however, modern advancements in "medicine" are ever shortening this period of time. It starts with one simple aspirin for a simple headache. When the one aspirin will no longer cover up the headache, people then take two. After a few months, when two aspirin will no longer cover up the headache (a sign of an underlining problem), you can take one of the stronger compounds found either over-the-counter or by prescription, however, it will become necessary to take something for the ulcers that have been caused by the aspirin. Now that you are taking two or more drugs, you have a good start on your journey to the grave. After a few months, your drug treatment will begin to disrupt your liver function (It's easy to see your liver enzymes elevate through a blood test when under drug therapy). Of course, if an infection develops your "doctor" will prescribe antibiotics assuming all infections are caused by bacteria. These drugs lead to anemia and yeast infections. Both will require additional drugs, one being Nystatin, a known liver toxin. Since all of these drugs filter through your kidneys it won't be long before they become affected. When the kidneys start to fail, they will be "treated" with their own "medication" and additional medical procedures. By now your diet of drug therapy will have your body total confused, toxic and failing, but it doesn't really matter. If you have followed every step as directed, you can make an appointment with your local mortician. American experimental orthodox medicine kills over 800,000 people every year. We not only suffer a terrible death, we spend all our savings paying for it! This game is played by practically all Americans, except for the few ignorant souls who follow nature. 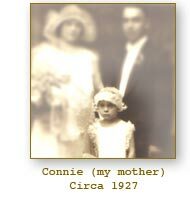 Unfortunately, my mother died believing her drug doctors knew what they were doing. This book is not about taking pills, even vitamins or herbs, to be used as another drug to live a life in violation of the natural laws of good nutrition. I will teach you how to prevent and cure dis-ease, not treat it. You will learn how to truly nourish and heal the body, thereby achieving optimum health and longevity. This book is also about giving the body what it requires for only the body knows what it needs and when it needs it. If you are sick and tired of being sick and tired and you want to experience the health benefits of effective natural healing, this book is for you. Scientifically and Historically Proven to Work! What else will you learn in this valuable, life-changing book? In this 4th Edition, I have added over 200 pages of valuable information. From a sensible No Diet, Diet, the PACE method of exercising to more information on cancer and 76 reasons why not to eat sugar. I then added a section on Chappell Approved Products. Why haven't I heard this information before? "If what you say is true Dr. Chappell, why have I never heard this information before?" The answer to that question is a simple one... the politics of medicine. The entire medical and pharmaceutical industries are geared towards the TREATMENT of ailments, not the CURING of them. Moreover, most researchers work for the drug companies, where their job is to develop prescription medicine (which again, is only used to treat and temporarily mask your symptoms). James Chappell is a chiropractic physician, traditional naturopath, clinical nutritionist and medical herbalist. Since 1971, he has been a health researcher and educator specializing in chronic, severe and so-called "terminal" illnesses. He does not treat "disease," but rather teaches people how to heal themselves using classical, aboriginal, advanced quantum energy and natural healing protocols from around the world. He is the president of Chappell Consulting Services, founder and formulator of QCI and Chappell Health Products, LLC, vice president of Heart to Heart Media/Publishing and former producer/co-host of The Shoong & Chappell Show aired on KTMS radio in Santa Barbara, California. 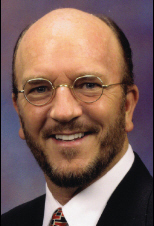 Dr. Chappell is a noted author, internationally recognized medical consultant and a leading authority on natural healing. In addition to having helped over 10,000 people, he worked ten years as a lot doctor at Universal, MGM, Paramount and Burbank studios in Hollywood, California providing healthcare to actors, producers and directors. Whether consulting, participating in seminars, radio or television interviews, infomercials, writing articles, newsletters or books, Dr. Chappell is a teacher's teacher and a whole-food nutrition purist, stating, "The key to health is not treatment, be it natural or orthodox. The key is and has always been love and attention, education and taking effective action. We need to remember that we are what we eat, assimilate and don't eliminate. Caution should be taken as to what we consume through our food, air, water and especially our minds. I have devoted my entire adult life to sharing the wisdom contained in nature and what befalls us when we ignore Her. Ignorance is definitely not bliss and hence we continue to suffer because of it. Nothing is more important than our health. Nothing. The laws of nature are without negotiation. The key is in understanding and adapting to them. Those who fail to take the time to be healthy will ultimately have to take the time to be sick." This book does not intend to diagnose, treat, cure or prevent any "disease" even if it does. The information herein is presented for educational purposes only and is best used in cooperation with your natural healing doctor. In the event the reader uses the within information to solve their own health problems, they are treating themselves, which is still (hopefully) their constitutional right. The author and publisher assume no responsibility or liability. NEVER attempt to stop or reduce your medication without the supervision of your medical doctor.